The following cartoon resemble to the apathy of Orissa govt. towards western Orissa, KBK and tribal belt. This cartoon is drawn by AswiniAbani and taken from a facebook posting. Entry filed under: Athmallik, Balangir, Bargarh, Boudh, Deogarh, Jharsuguda, Kalahandi, Kalahandi Balangir Koraput (KBK) region, Nuapada, Poverty politics, Region watch, Sambalpur, Starvation deaths, State and Central govt. and KBK, Subarnapur, Sundergarh. The picture tells the truth without 1000 words. 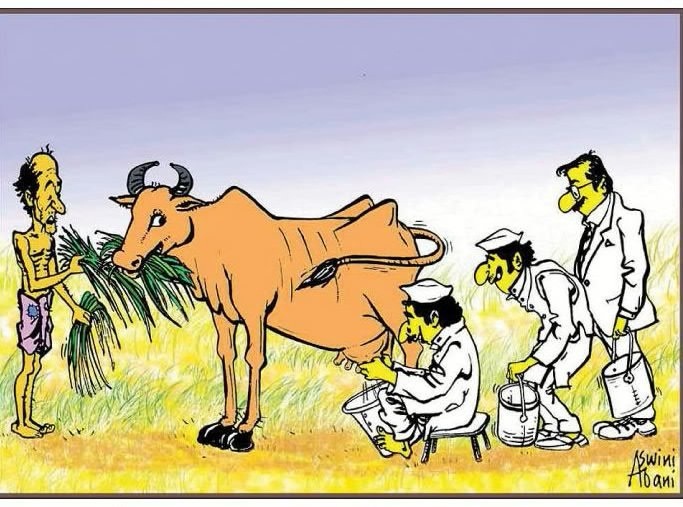 KBK has been a MILKING COW for the corrupt people in power. WESTERN ODISHA will be a formidable force if given an opportunity.